Fully tile pools from the industries leading manufacturer with over 37 Years experience. You pool can be completed ready for installation in as little as 6 weeks. Once the groundworks are complete your pool can be installed, tested and ready to run within 2 weeks. 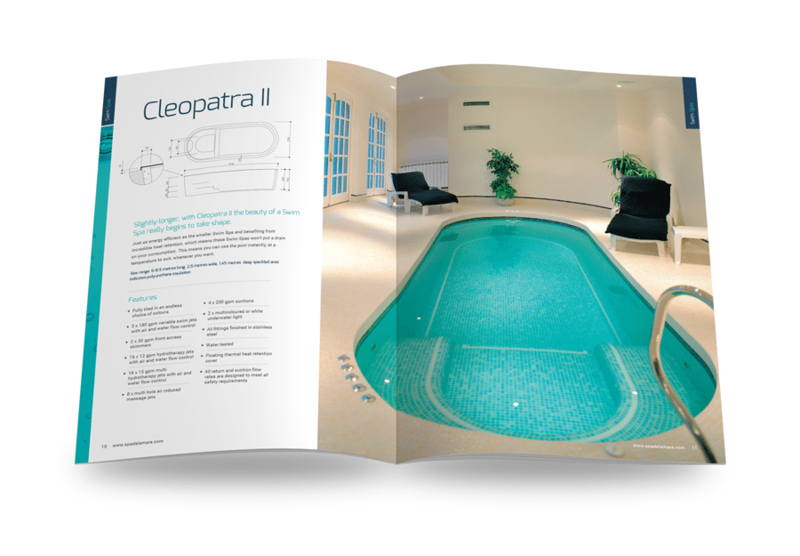 Should you be considering a Swimming Pool or a Spa Pool then why not take a look at the Dual Pool options available from Spa De La Mare that deliver you the best of both worlds with a Jetted Swim Spa unit and Spa Pool combined. Each pool within the unit can be individually temperature controlled allowing you to have the Spa Pool hotter than the heater Swimming Pool section – this is the new era of swimming pool and luxury innovation and you saw it here first at Spa De La Mare. 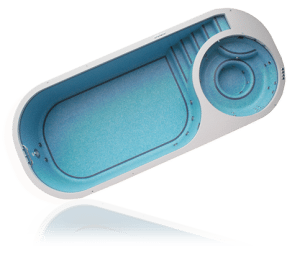 You may be pleasantly surprised to learn how affordable the Cleopatra V Dual Pool is. Typically this model costs around 1/3 of the cost of a traditional pool and can be built, delivered and installed ready for your enjoyment it as little as 10 weeks from order date.